A team of French archaeologists has located the remains of a lost ancient city in Iraqi Kurdistan. 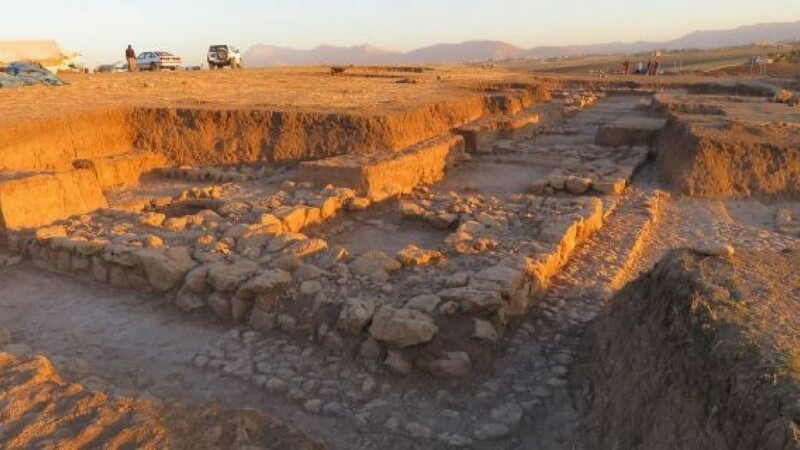 Over the course of six excavations between 2012 and 2018, researchers uncovered the ancient city at Kunara near the Zagros mountains. Previously, experts had been prevented from exploring the site near the modern city of Sulaymaniyah by Saddam Hussein’s regime and conflicts in the region. The discovery is described in the French National Center for Scientific Research (CNRS) journal. Located on the western border of the Mesopotamian Empire, the city may have been an important center of an ancient mountainous people known as the Lullubi, according to experts. Large stone foundations were discovered at the site, which dates to around 2200 B.C. Dozens of clay tablets covered with cuneiform writing were also found, shedding light on the city’s agriculture. For example, the first of the clay tablets discovered records the delivery of different types of flour. The archaeologists’ research indicates that the city’s demise occurred about 4,000 years ago when it was ravaged by fire. However, the city’s name is still unknown. Further excavation of the site will take place in the fall. Ancient sites in other parts of the world are also revealing their secrets. Last year, archaeologists in Greece located the remains of a lost city believed to have been settled by captives from the Trojan War. Separately in 2018, archaeologists in Western Mexico used sophisticated laser technology to discover a lost city that may have had as many buildings as Manhattan. In 2017, archaeologists harnessed spy satellite imagery and drones to help identify the site of an ancient lost city in Northern Iraq. The Qalatga Darband site overlooks the Lower Zab river at the western edge of the Zagros Mountains, is part of a historic route from ancient Mesopotamia to Iran. Experts recently created a stunning digital reconstruction of a centuries-old lost city discovered in South Africa. In another project, researchers have shed new light on the events that led to the demise of the ancient Cambodian megacity of Angkor.